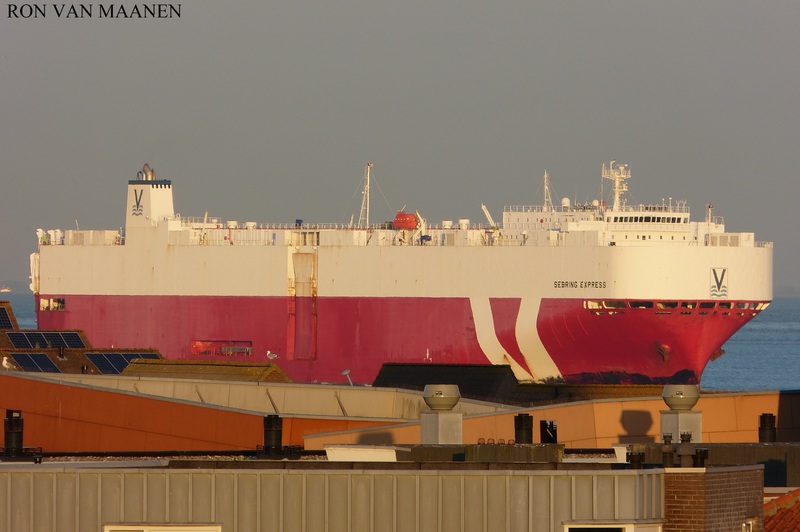 Panama-flagged, IMO 9434321, MMSI 354946000 and call sign HP7667. Built by MHI Shimonoseki Shipyard&Machinery Works, Shimonoseki, Japan in 2009. Owned by PCTX Express II, Breskens, Netherlands and managed by Vroon, Breskens, Breskens. Earlier Philippines-flagged, homeport Manila and call sign DUBV when she was operated by Vroom B.V., Breskens, Netherlands, managed by Fleet Management Limited, owner PCTC Express VIII B.V., Panama and as registered owner Sinagtala Maritime Management Inc.